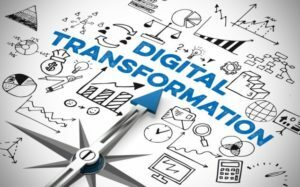 At DRS, our passion is to improve business through digital transformation and we love what we do. Since 1964 DRS has been providing systems and services that allow organizations to process and preserve information efficiently and effectively. Today these services are bundled under the recently developed terms of information governance and digital transformation. To DRS, we build document scanning and ECM solutions that serve the right information to the right person and business process at the right time. Over 50 years of engineering and best practices go into the development of each of our paperless document imaging and ECM offerings. When we begin developing our solutions we look for large volumes of paper and electronic documents needing to be properly captured and data extracted to feed business systems. That’s where we look for ways to deliver this data rapidly and cost effective so that business process can run more smoothly and deliver results faster. Every DRS System and Service is designed to be industry leading as they capture information, extract data, route through business workflows, automate processes, and securely preserve the information to meet all compliance and retention guidelines. Learn more about the various solutions for document scanning and enterprise content management on our site.